Nevertheless, the brief argues that a number of solutions to tax avoidance are already on the table - although they require that the political will be summoned to act upon them. Greater transparency in companies’ tax affairs, new international rules to limit transfer pricing and better protection for whistleblowers are all needed. 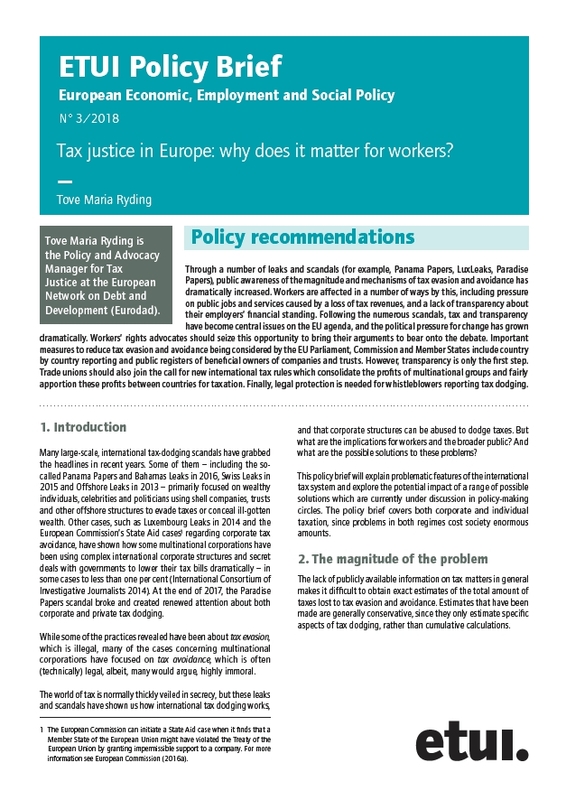 Public awareness of the magnitude of the problem in an era of squeezed public budgets has put the issue of tax justice firmly on the agenda, providing trade unions and other reformers with an impetus to pressure governments and EU institutions to take action. The Policy Brief can be downloaded from the ETUI's website.